The pickup truck market has been the money maker for the brands in the US and while the full-size models are selling in greater quantities the mid-size segment is also showing the signs of recovery. The number of models is also growing and the recent introduction of the new Ford Ranger and Jeep Gladiator infused the fresh blood to the segment. The statistics are also on side of the mid-size class and promises the four percent growth of the market by 2021. 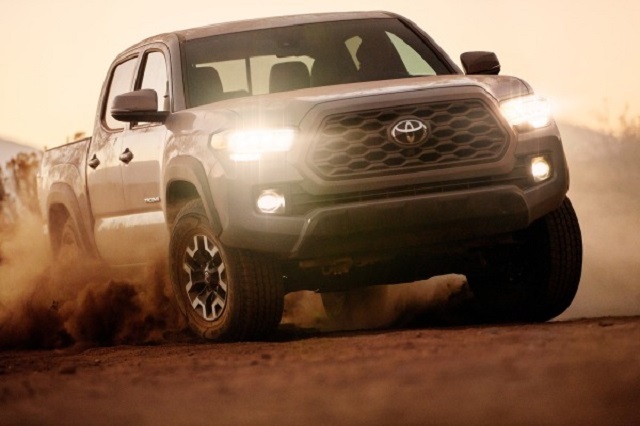 The class best seller for more than a decade has been the Toyota Tacoma but many models including the newcomers treat to challenge the throne. 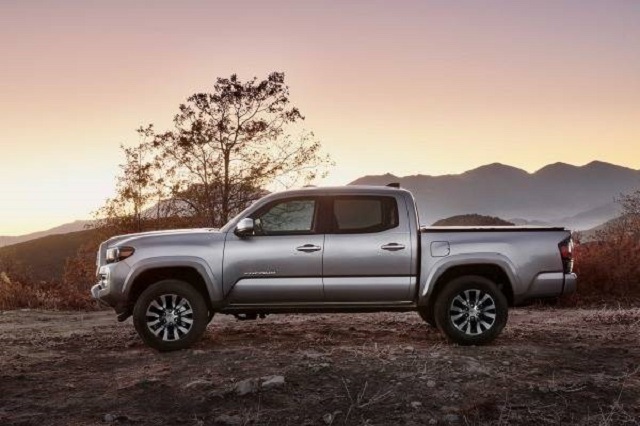 Toyota updated, however, the 2020 Toyota Tacoma and the refreshed model debuted at the 2019 Chicago Auto Show. The model comes in six trims and every trim has something new to offer. Buyers will choose between the new grille styles and updated headlights. There are also new wheel designs and exterior shades. The refreshed model befits also from the upgrades inside the cabin. The upgraded infotainment system is on the offer and all versions get the advanced safety systems. The model hasn’t, however, upgraded the engines specs while there are some mechanic changes across the range. The 2020 Toyota Tacoma hasn’t changed the shape or size but every of six trims brings some visual upgrades. The model will go sale in SR, SR5, TRD Sport, TRD Off-road, Limited and TRD Pro trims. The base SR version comes with the new grille version and tweaked taillights plus there is optional cargo bed LED light. The next SR5 version gets also the new grille design and darker taillights housings but adds also the new 16-inch wheels. This trim also offers the daytime running lights. The next in the range TRD Sport version received also the updated grille design combined with the chrome taillight pieces, new 17-inch wheels and offers standard fog lights. The options on this trim include LED DRLs and cargo bed LED light. The TRD Off-road comes also on the stage with the new grille and lights and some mechanic upgrades. The TRD Pro trim gets LED headlights, fog lights and DRLs plus blacked out taillight inserts. The new on this version are also 4 pounds lighter 16-inch wheels. The Tacoma Limited rides on the new 18-inch wheels and uses LED headlights and taillights and more chrome. The updated Toyota Tacoma offers some important upgrades inside the cabin as well. The new model year brings upgraded infotainment with the standard 7-inch touchscreen while the SR5 and upper grades switch to the larger 8-inch unit. The infotainment system gets also the support for Android Auto, Apple Car Play and Amazon Alexa. The interior of the updated Tacoma gains also the new fabric seats in the SR5 version. The TRD Pro comes with the 10-way power driver seat. The brand equips also the new Tacoma with the standard Toyota Safety Sense-P suite of the active safety systems. The list includes lane departure warning, forward collision warning with automatic emergency braking, adaptive cruise control and automatic high beams. A surround-view camera system is also available. The mid-size update hasn’t brought significant mechanical upgrades to the 2020 Toyota Tacoma. The engine and transmission options continue to the new model year in the same form and order. The TRD Off-road version benefits, however, from the Multi-Terrain system from the Land Cruiser which monitors the terrain under the truck. The system is also employed in the TRD Pro version which has also updated shocks and springs. The model returns with the base, naturally aspirated 2.7-liter 4-cylinder engine and standard six-speed automatic transmission. The engine makes 159 horsepower and torque of 180 pound-feet. A 3.5-liter V-6 provides more punch. Available with the 6-speed manual gearbox as well, this engine delivers 278 hp and torque of 265 lb-ft. The model stays at the current towing limit of 6, 800 pounds. The off-road focused versions employ upgrades like the locking differentials, crawl control, off-road drive modes, underbody protection and more. The updated 2020 Toyota Tacoma will try to defend the throne in the mid-size segment when goes on sale later in the year. The price will appear closer to the market launch. The slight price increase should follow the visual and onboard improvements.